I found this fun pig cut on the Just Because Cards cartridge. The cute face is from Peachy Keen and I chalked and dotted the cheeks. For the gold and silver coins, I used a circle from the Tiny Doilies metal die set. When I give this card away, I plan to roll up a $20 and put it in a paper 'sleeve' that I will attach on the inside of the card. 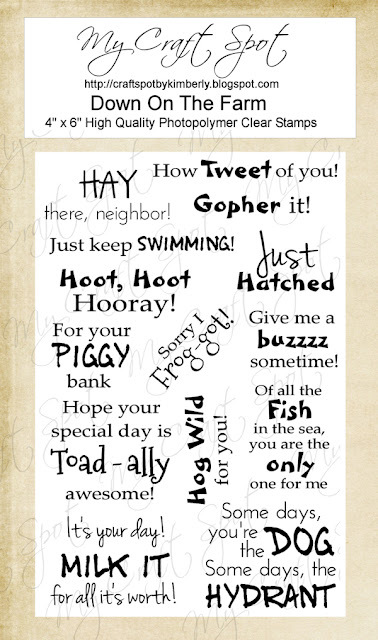 The fun sentiment is from the Down on the Farm stamp set. Love this set!! Now go see all of the awesome projects my Design Team members have created! Remember to leave a comment at each stop on the hop. 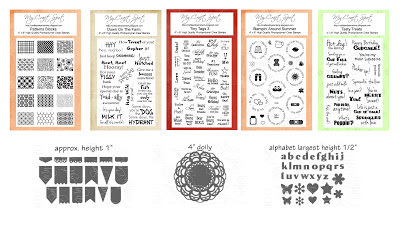 Each one has one of the new stamp or metal die sets to give away! 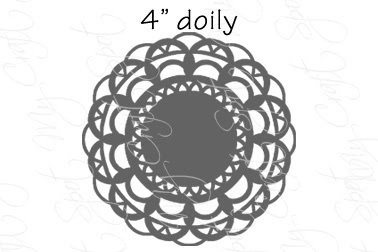 I am giving away the 4" Doily Metal Die! 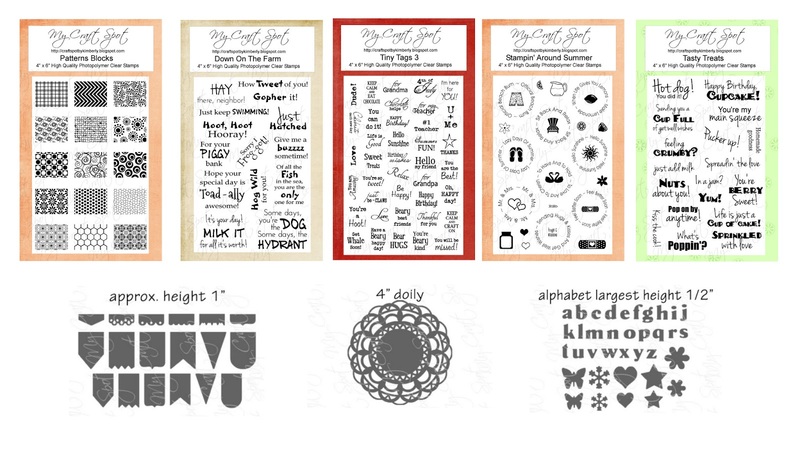 Sneak Peek Day #5 - Tiny Tags 3 and a Gorgeous 4" Doily metal die!! I love adding tiny tags to my projects! 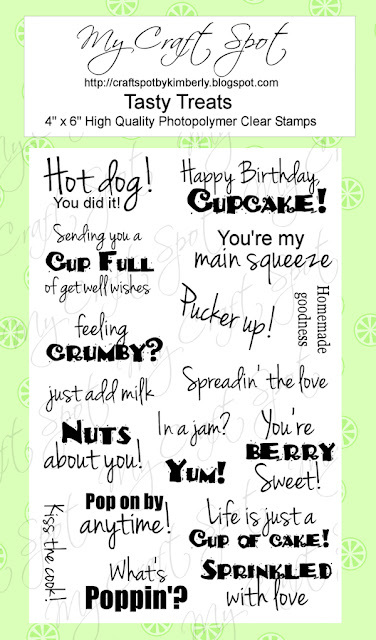 This new Tiny Tags 3 stamp set is jam packed with almost 40 fun sentiments! 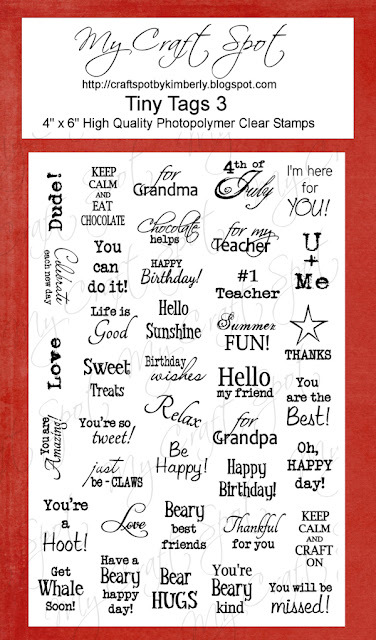 Add that to all of the awesome sentiments and images on the Tiny Tags and Tiny Tags 2 stamp sets and you will have over 100 sentiments and images to choose from! 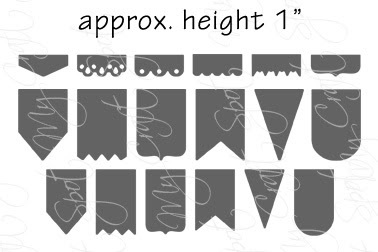 They all coordinate with the Tiny Tags Metal Dies. 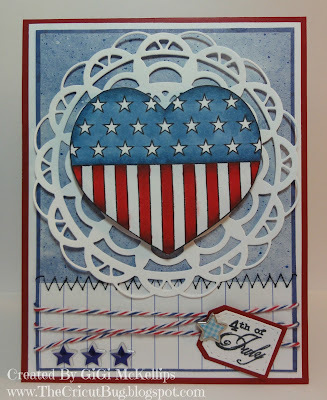 Robin has designed a beautiful 4" Doily metal die that is going to be on your wish list for sure! 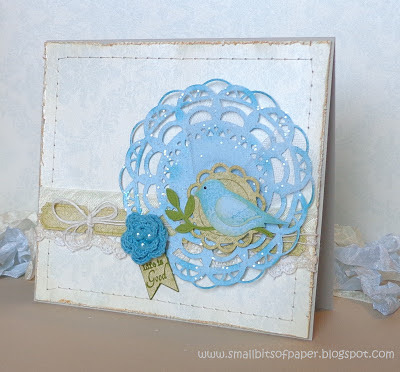 I absolutely LOVE this gorgeous doily that Robin designed!! So delicate and pretty! I added a small flower from the Flower Shoppe cartridge that was leftover from another project. This metal die cuts perfectly each time! I tied a soft bow using Vanilla Bean crinkle ribbon and added a pearl. The tag was attached with Natural jute string. One more picture of this gorgeous doily cut! GiGi used her pretty doily as a background for this fun patriotic cut - beautiful! She added Stars and Stripes Trendy Twine behind her tag. Love the star embellishments and her stitching! Ally's card is absolutely gorgeous! She used Raspberry Truffle crinkle ribbon to tie her beautiful bow. 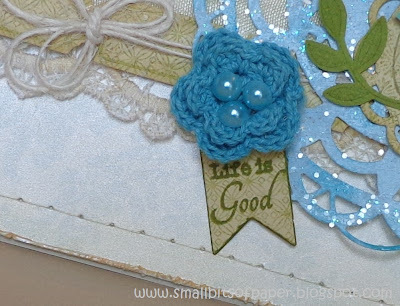 She used cuts from the Lacy Banners metal dies and the Tiny Doilies metal dies to make her beautiful flowers and sentiment tag! She also used stamps from the Postage Stamps (background) and Stampin' Around Spring (flower) stamp set. Gwen tied her tag with Ivory jute string and added a bow of Lemon Tart bakers twine to her bear. Heather's treat bag is beautiful! 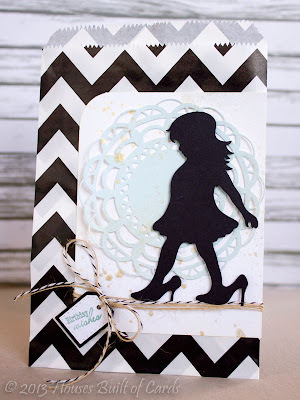 I love the sweet silhouette image with the doily in the background! I love the mix of Black Licorice Traditional Twine and Natural Jute Twine that Heather used to attach her tag! 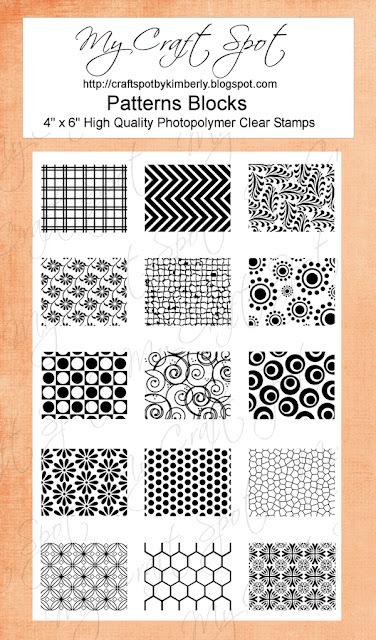 How fun that Sherrie used the Doily to make shape cards! I love her cute bears! 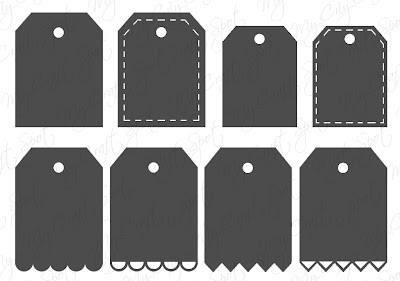 Sherrie attached her tags with Crinkle Ribbon. Robin's card is beautiful! I love her pretty flower with the Ivory jute string and strands of pearls! Robin cut her fun tags from the Tiny Tags metal die set. 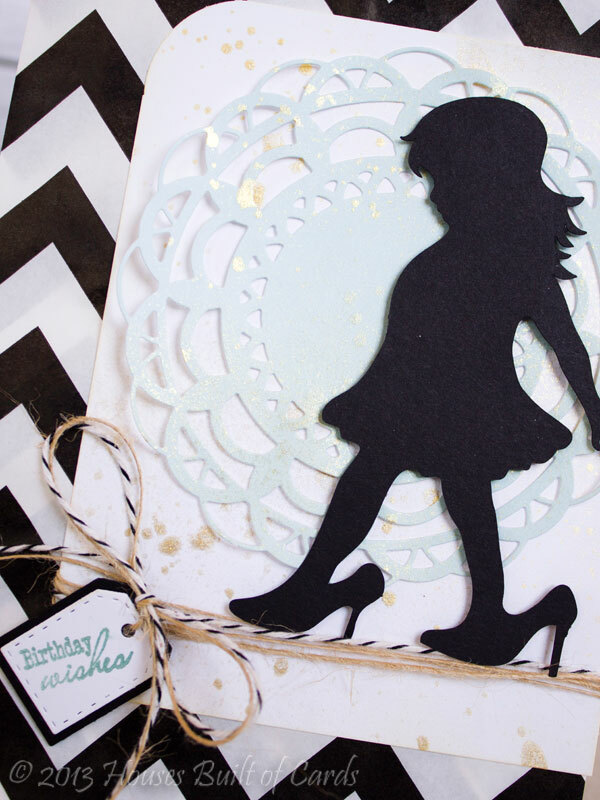 Kate's card is gorgeous!! I love how she colored her doily! The lace, crinkle ribbon and tiny tickets layered with the Ivory jute string is absolutely beautiful!! Kate stamped her sentiment on a Tiny Banner from one of the new sets. 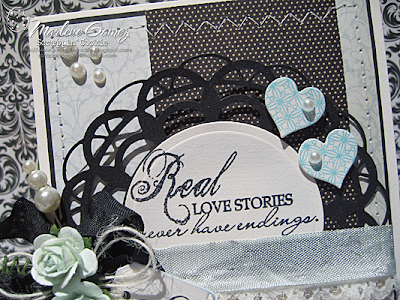 She also used one of the dies from Lacy Banners set to trace the circle on her Tiny Doilies scallop circle. What a fun idea! Marlene's wedding card is absolutely gorgeous! I love the colors she used! Beautiful design! 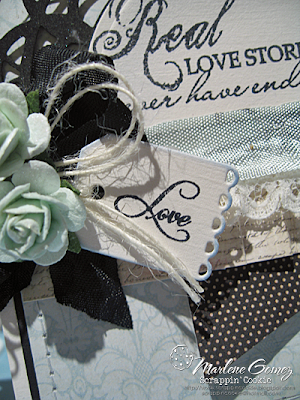 I love Marlene's beautiful layers of Smokey Black & Aqua Mist Crinkle Ribbon, Ivory Jute twine, flowers and her sweet tag! The "Real love stories . 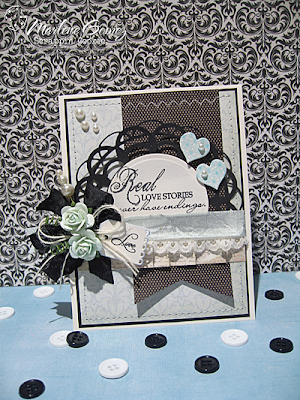 . ." sentiment is from the Happily Ever After stamp set. 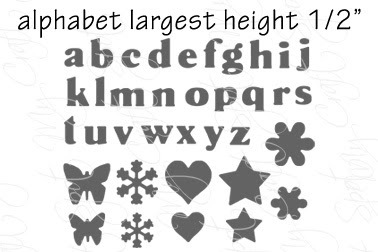 The hearts were cut from the small alphabet metal die set. She stamped them with a stamp from the Pattern Block Stamp Set. Sneak Peek Day #3 - Down On The Farm! Winners from Monday Challenge #101 - Wedding! DT post by Gwen - Gorgeous treat boxes! Monday Challenge #102 - Cute as a Bug! 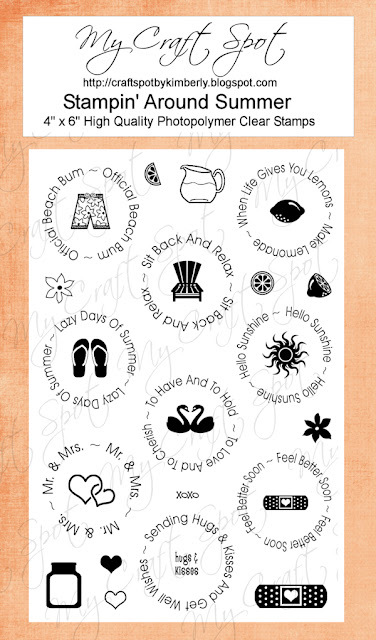 DT post by Gwen - Cute summer step card! Winners from Challenge #100 - Dad!! DT post by Sherrie - Wish BIG! DT post by Gwen - Tool Box for Dad! DT Post by Gwen - Have a CRAB-u-lous day! DT Post by Heather - Thanks so much Dad! DT Post by GiGi - Just for Ewe! DT post by Heather - Feel better soon!